TRX®is a the leader in functional training. They provide world-class training and education capable of transforming full-body health, helping people move better, feel better and live better. Their core suspension training product was invented by TRX founder, and former Navy SEAL Squadron Commander, Randy Hetrick to help soldiers stay in shape while deployed. This small idea born out of necessity has since grown into a successful global business. But, with success, comes challenge. Chief among these were; how to quickly develop new products and address supply chain issues, how to cultivate sales channel-specific product variations, and how to meet increasing demand for customized facility installations. Compounding all of this was high urgency to get solutions in place to address a tidal wave of customer demand. To meet increasing demand for customized fitness experiences, TRX used Autodesk 3ds max and Inventor to develop realistic renderings. Having worked with KETIV previously, TRX® Senior Director of Products, Mauricio Delgado reached out to KETIV Sales Consulting Services for support in implementing Autodesk products and design services. The KETIV team was rapidly able to provide over 400 hours of premium training, technical support, and engineering services. To address the need for more efficient product development, TRX utilized Autodesk Inventor and Vault Pro with the help of KETIV’s expertise to support creation, organization, and distribution of fully functioning and more lifelike product models. This facilitated TRX to create highly accurate product technical specification packs, which in-turn provided the details needed for TRX’s suppliers to build products faster and more precisely. 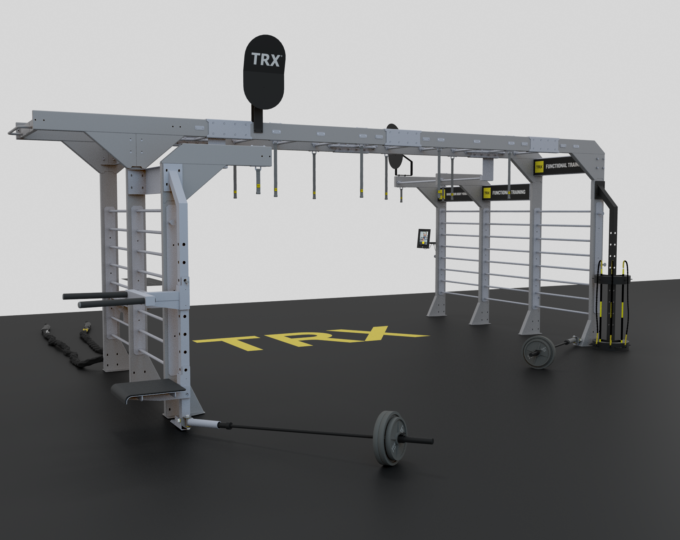 To meet increasing demand for customized fitness experiences, TRX used Autodesk 3ds max and Inventor to develop realistic renderings that showed how TRX Studio Line installations could be visualized in individual fitness facilities. KETIV led the effort in training TRX staff in 3DS Max and also supported the effort in creating models and renderings. TRX® experienced multiple success metrics as a result of their partnership with KETIV. The product modelling and tech pack solution resulted in improved supply chain efficiencies, including the identification of new suppliers who could better meet demand. The channel-specific product development effort created important product differentiation points, which met channel requirements and improved customer experiences. The customized facility experience initiative resulted in significant new business opportunities and bid wins for facility installations around the world. Most impressively, TRX launched more products in the past 2.5 years than in the previous 10years…a milestone the company firmly believes KETIV helped them achieve. Interested in TRX Training equipment?